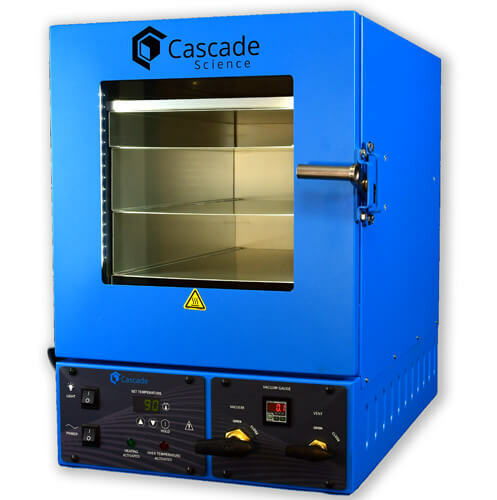 Cascade’s Model CVO-2 offers incredible temperature stability for vacuum drying and purging of pharmaceuticals, botanicals, slurries, or any temperature sensitive material. This vacuum oven liberates solvents, water, and other unwanted compounds. 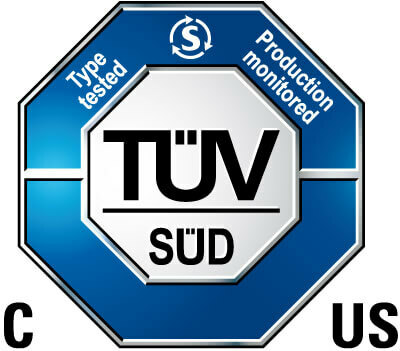 It’s ideal for small batch, R&D and laboratory environments. Need A Complete Vacuum Drying or Purge System? Cascade has taken the guess work out of pairing the right vacuum oven with the proper pump. We offer two complete CVO-2 vacuum oven packages that have everything you need to begin vacuum drying. Both systems feature clean, quiet, Agilent oil-free scroll pumps. The CVO-2 STANDARD Package is an ideal benchtop set up for vacuum drying or purging temp sensitive material requiring a steady, gentle, non-turbulent purge. The CVO-2 PRO Package is ideal for higher thru-put, faster purge times pulling deeper vacuum. Call 503-847-9047 extension #1 for expert direction on selecting your vacuum oven packages. Free Shipping Note: When ordering online, shipping is free! The CVO-2 Vacuum Oven is shipped as heavy freight. Delivery to residences or no-forklift locations can add up to $120 for liftgate services. At time of order, Cascade will contact you to arrange your specific delivery requirements. Cascade’s vacuum ovens come standard with a solvent resistant BUNA door gasket. For higher temp applications, we offer a cured Silicone gasket as well. Ask us about the variety of door gaskets we can supply based on your application: Silicone, BUNA, Viton, Fluorosilicone. Gaskets will eventually wear out. It’s ideal to keep a few spares on hand. Note that ambient laboratory conditions can affect temp performance. The CVO-2 comes in both low temp and high temp versions. The low temp version has excellent temperature uniformity for temperature sensitive material. The higher temp version, 220°C has a uniformity about 6.5% of setpoint. At time of order we will verify the high / low temp version you require. All shelves are adjustable but not removable.